Explore a legendary time in your travels through glorious England. "An enjoyable game -- have had several from this designer. Has a mix of difficulties and sometimes you have to try a game several times in order to achieve all the cards. This doesn't matter, as you earn more points, which helps when you want to buy more things from the shop. Worth a go if you like solitaire!" 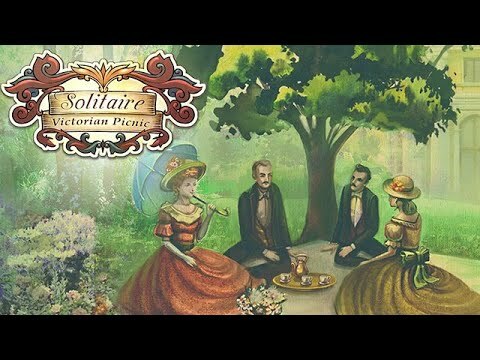 Become part of a gripping journey to glorious England in Solitaire Victorian Picnic. Stroll through beautiful parks, visit a masquerade ball, and drink tea with noble ladies and gentlemen. Explore a legendary time and complete 120 exciting levels. Collect pairs as fast as you can and use special multipliers to increase your rewards. Gather golden cards to complete levels and unlock the next location. Enjoy beautiful music to help you relax and concentrate on your travels through time.